davidrevoy receives €12.43 per week from 28 patrons. Hi! 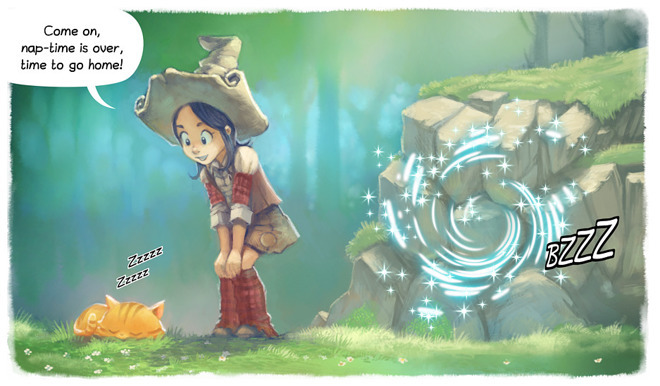 My name is David Revoy and I'm a french CG artist creating an open-source webcomic called Pepper&Carrot. Pepper&Carrot is about "Pepper", a young witch and her cat, "Carrot". They live in a fun fantasy universe made of potions, magic and creatures. It's a comedy/humor webcomic suited for everyone. No mature content, no violence. All the webcomic episodes are online here. The Krita files of every artworks are stored on the Sources. Brushes are on my personal blog here. Videos are on my Youtube channel. Open license (CC-By4.0) is specified in the footer of every pages. I believe sharing, transmitting knowledge, learning and collaborate is the most important. Pepper&Carrot is a totally free webcomic and part of the free culture ( as Wikipedia, Linux, etc... ). All episodes and content around it are released as Creative Commons attribution license. It means I encourage crazy thing like : commercial usage, re-publishing and modifications/derivations for your own project ( 3D models, movies, video-game, fan-art ... everything is possible ). I even offer the source files and I create them using 100% open-source tools. That's how I like art : Free/Libre. Q: I saw your profile on Patreon ; why also on Liberapay ? A: Yes, I already have a profile on another popular patronage platform, Patreon , but after two year using it I was looking for an alternative with a stronger focus on privacy; a free/libre alternative. I want to offer this alternative for Pepper&Carrot audience. That's why I'm also here. Q: Can I get a credit written at the end of Pepper&Carrot if I donate via Liberapay ? A: No, I can't get access to your name/nickname here, it's a limitation of the platform but also a feature: your donation are totally anonymous to me. Thank you for sponsoring my work! davidrevoy joined 2 years ago.